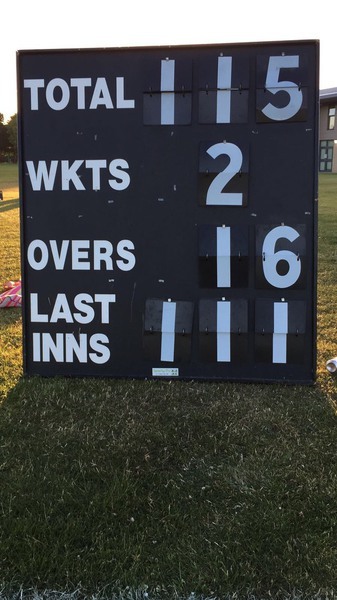 Chidham served up an ace on Wednesday night as they comfortably beat the Racqueteers of Hayling Island with 8 wickets and 3 overs to spare. A tougher game was expected as the home side had already beaten Westbourne and Izaak Lions this season, two teams which had easily brushed aside the Hawks, but due to a last minute reschedule the Racqueteers were missing a few key players. Having said that Chidham were also forced to make six changes from the team that beat Lou's Casuals the previous week with Peterson, Burt, Wild, Davey, A. Clark and Strudwick all unavailable. O'Donohoe, Rawlinson, S. Clark and debutant Adam Selves all stepped in along with David and Joe Phizackerley who joined Tom on the field to create a trio of 'Fizzes'. 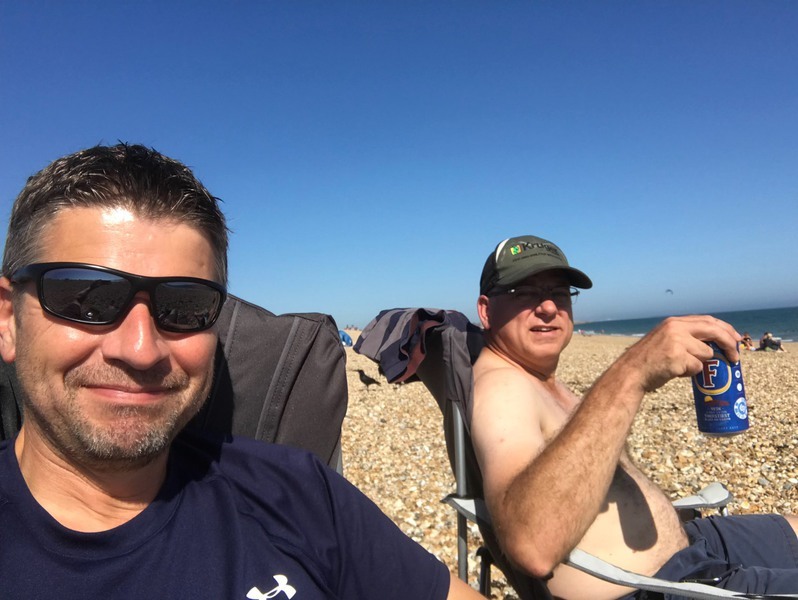 Vinnie and Willem made use of the glorious weather and nearby beach by spending an hour chilling in the sun with drinks and ice creams before the match as well as taking a brief paddle in the sea. With normal skippers Peterson and Davey unavilable, Vinnie Smith stood in for the night and duly lost the most bizzare toss ever - with no coin available the home skipper tapped a number into the phone and Smith was asked whether it was an odd or even number (there seemed to be quite a few random numbers on the screen when checked). The Racqueteers opted to bat first and were soon on the back foot when Ben Gottesman took the wicket of Matt Boulton with the last ball of the first over. Tommy Fizz struggled with the shiny orange ball from the opposite end (as did his brother Joe) and so Clive Dungar joined the bowling attack and soon took the wicket of P McGuite for a duck. With Ben's Gottesman's 4 overs completed for just 9 runs, Willem bowled form the car park end and also made his mark by taking the wicket of opener Josh (18 runs). G Cottle gave the best batting performance for the home side soon reaching forced retirement on 26 runs (his fielding was also top notch) and then it was the turn of debutant Bosham player Adam Selves to have a bowl. With his expert field placement, Selves soon tore into the home batsmen and took the wickets of Croft and Venus for just 14 runs from his 4 overs. The Racqueteers ended up on 111 for 6 from their alotted 20 overs. Ben Gottesman and Adam Selves opened up for the Hawks and 'Big Ben' was soon on his way to his third retirement of the season (28 runs) in only his third appearance. Willem joined Adam at the crease and the two built up a good partnership before Willem was eventually bowled by young Jones when on 18 runs. Hawks number four Vinnie entered the crease and eventually got into the rhythm of play before Selves was unfortunately run out on 20 runs. POD joined Vinnie at the crease with 6 overs and 8 wickets remaining and only 20 required - the two players soon rattled off the required runs with Vinnie hitting the winning four (see You Tube video below). Not the first time that POD and Vinnie have enjoyed a happy finish together! 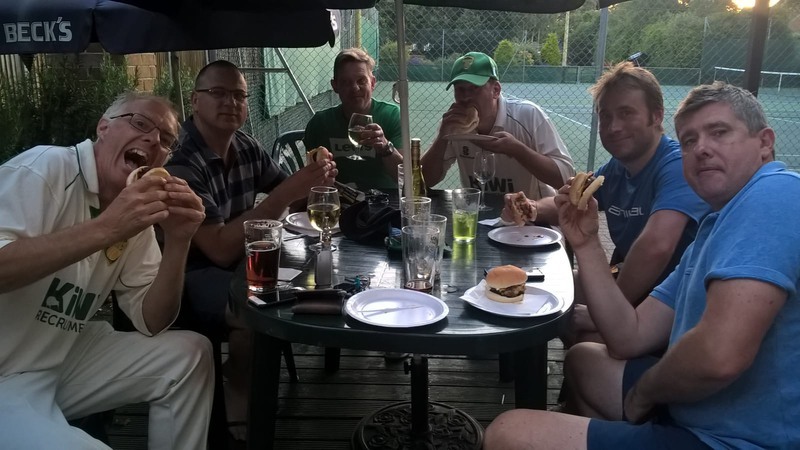 Both sets of players went to the Secourt Tennis Club after the match for a BBQ and a few beers as well as discussions about the return leg at Bosham in two weeks time where the Racqueteers will be out for revenge. 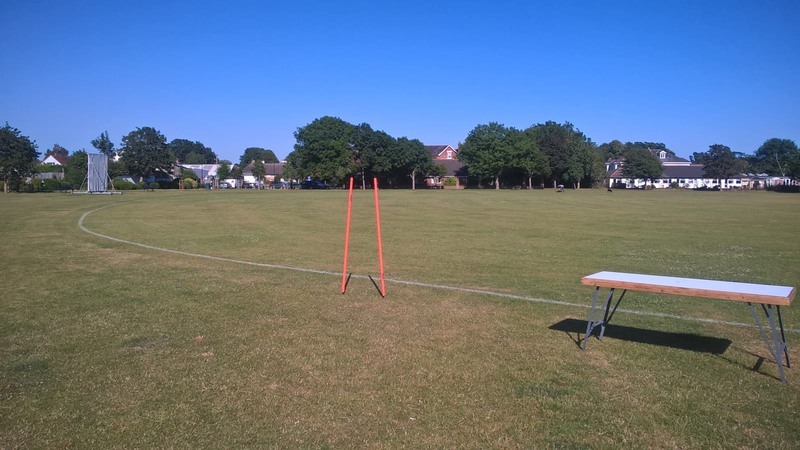 Bosham 20/20 team also play at Racqueteers next Thursday evening where Willem, POD and Adam will all be on show.